Greek Cross Step 1: Begin bar wrapping of the first leg of the Greek Cross. Greek Cross Step 2: Completed bar wrapping first leg. 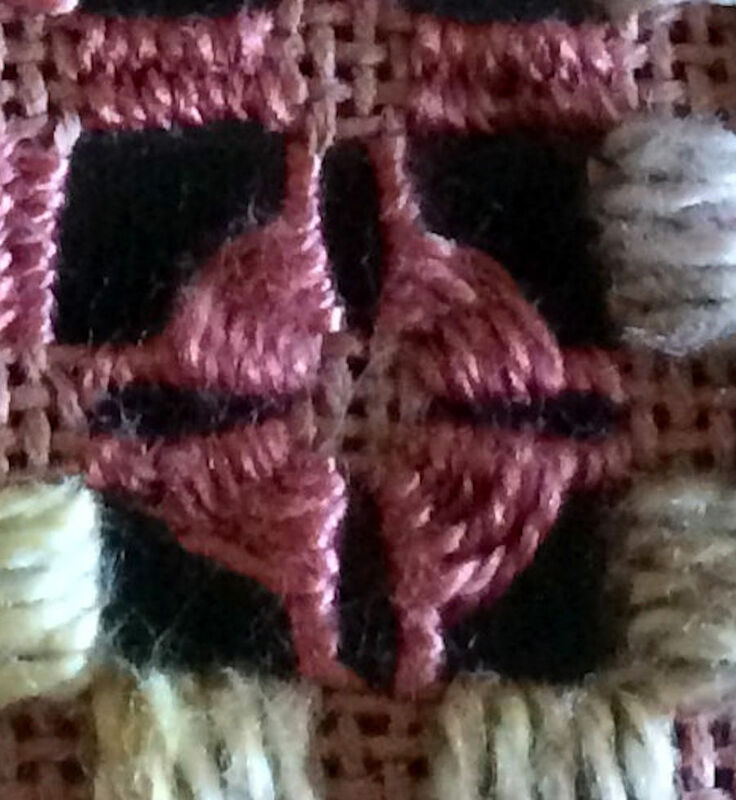 Now begin the weave pattern for the first (of four) sections that make up a Greek Cross. Greek Cross Step 3: Work Greek cross weaving 2/3 way down second leg. Complete rest of the second leg with bar wrapping. 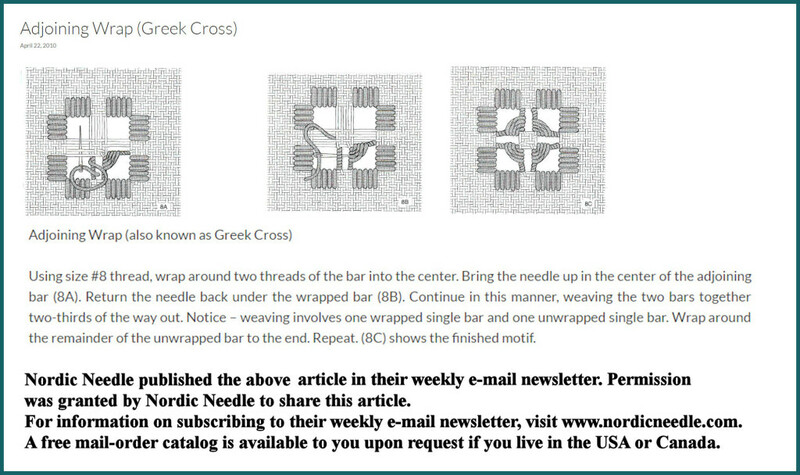 Greek Cross Step 4: First leg of the second Greek cross section is bar wrapped as shown in Step 2 above. All four sections of the Greek cross are done the same with Greek cross wrapping 2/3 of the way down the unwrapped bar ending with bar wrapping the rest of the second leg for each section. Nordic Needle Greek Cross. Click photo to enlarge.